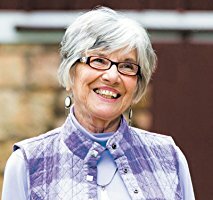 A book by Grace College graduate, Nancy Swihart, has recently been released. 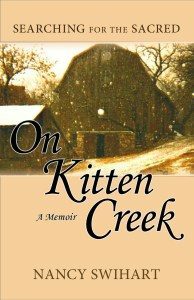 On Kitten Creek: Searching for the Sacred, published by Cladach Publishing, details the journey of the Swiharts as they left a comfortable, thriving ministry in Southern California and transplanted their young family to a dilapidated, old farm in Kansas. Life there didn’t turn out exactly as they had envisioned, but in that ordinary world they experienced glimpses of an extraordinary Artist painting His pictures and writing His story. The Lord brought together an extended community known as Wellspring, inspired unusual and creative use of the land for His glory, and transformed lives through His loving presence. In the process, the Swiharts found deep connections between mind, spirit, emotions, and body through which God brings the sacred into the mundane. Nancy Swihart, who graduated from Grace in 1966, has served as professor of English and department head of General Studies at Manhattan Christian College; editor and writer for National Center for Fathering; speaker at various women’s retreats and conferences; and founding member of Wellspring, Inc. She is the co-author of Beside Every Great Dad (Tyndale, 1993). She and her husband, Judson J. Swihart, have three grown children and eleven grandchildren.